Harvey Harvester – Friction-powered combine with automatic baler. 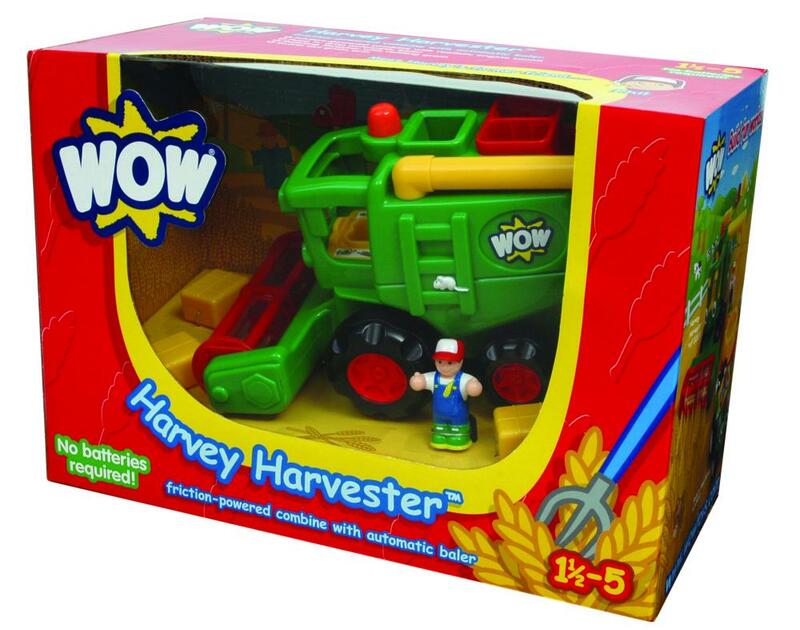 Have fun on the farm with this tough combine harvester. A powerful friction motor drives his rotating thresher which rattles with newly harvested grain. Feed the bales into the automatic baler & watch as they are cleverly dropped out as he drives along! 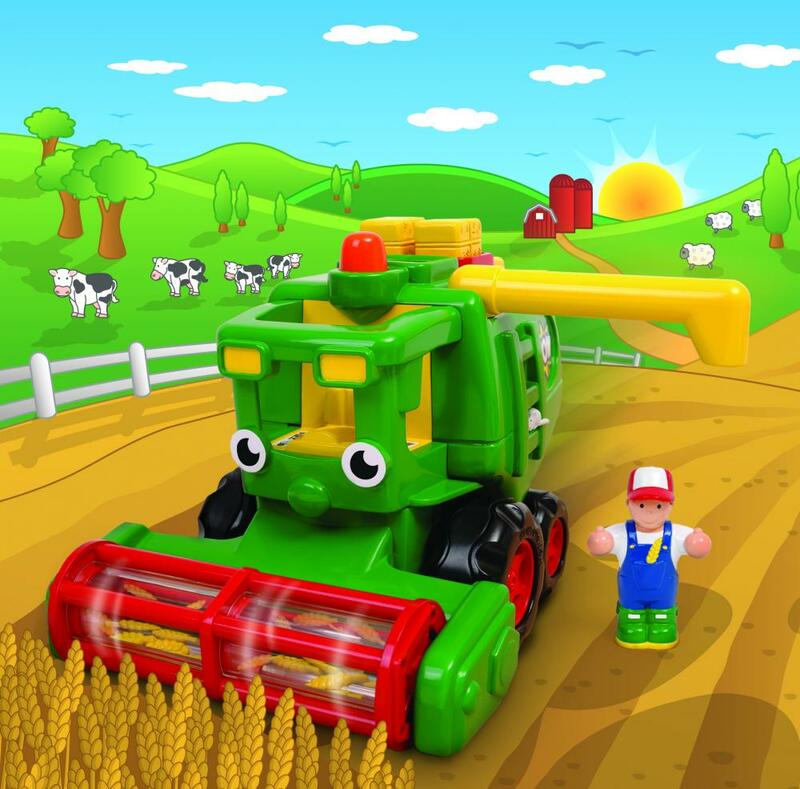 A swivel grain arm 3 removable bales & a farmer figure complete this farm themed 5 piece set.